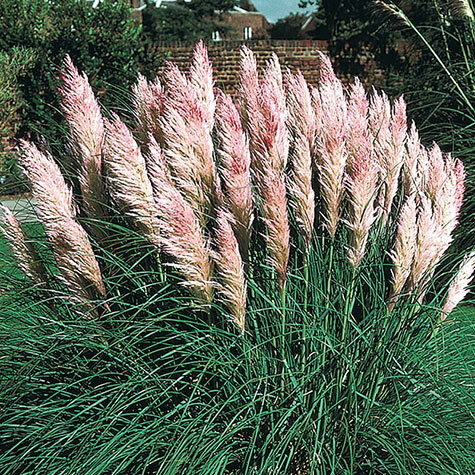 Pink Pampas Grass | Gurney's Seed & Nursery Co.
Big, puffy plumes and stately foliage. Grows 5-7 ft. tall and blooms mid to late summer to form an outstanding screen. Best in full sun. Zones 7-10. Comments: Big, puffy plumes and stately foliage. Grows 5-7 feet tall and blooms mid to late summer to form an outstanding screen. A favorite for drying-adds grace, texture and height to indoor arrangements. Best in full sun. Potted.